After the events of September 11, 2001, Stephen Coughlin was mobilized from his private sector career to the Intelligence Directorate at the Joint Chiefs of Staff to work in Targeting. Thus began his education in terrorism. In the years that followed, Coughlin earned recognition as the Pentagon’s leading expert on the Islamic-based doctrines motivating jihadi groups that confront America. He came into demand as a trainer and lecturer at leading commands and senior service staff institutions, including the National Defense University, the Army and Navy War Colleges, the Marine Corps-Quantico, the State Department, and the FBI. So effective were his presentations that some in the special operations community dubbed them “Red Pill” briefings, a reference to an iconic scene in The Matrix. It’s an apt metaphor: Once the facts and doctrines are properly explained and understood, there is no going back. This was more than our enemies – and, it seems, our leaders – could tolerate. Beginning in 2011, the Muslim Brotherhood convinced the White House to ban Coughlin and put an end to his briefings. The move was in keeping with shariah concepts of slander that seek to blindfold America to certain realities that render us defenseless against a threat made existential by the very ignorance it gets our leaders to enforce. In times like this – when the White House’s former counterterrorism strategist can declare it unconstitutional to allow national security analysts to look to Islam to understand jihad – there’s an urgent need to pull away the blindfold so we can see and confront the threat. Such is the goal of Catastrophic Failure. 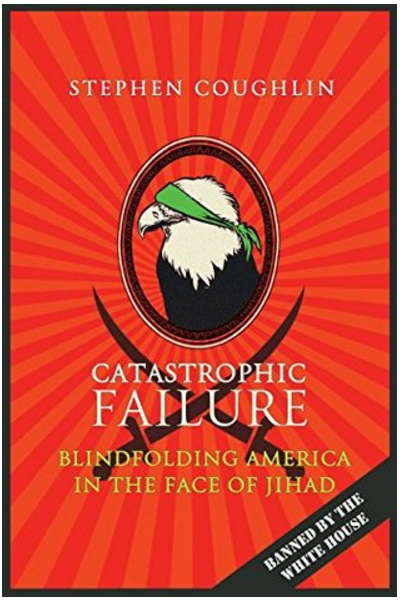 The book, drawn heavily from Coughlin’s “outlawed” briefings, is a comprehensive assessment of Islamic law and doctrine known to form the basis of hostile threat strategies directed against America and the West, the challenges they present, and the ideologically induced breakdown of fact-based decision making that is nothing short of professional malpractice by our national security elites.